The Appalachian Trail is the longest hiking-only footpath in the world. But how long is it really? The Appalachian Trail is seen here in Tennessee. 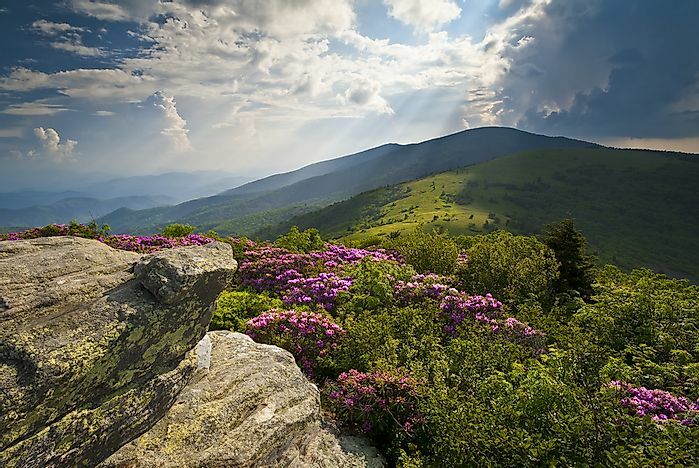 The Appalachian National Scenic Trail is a significant hiking trail located in the Eastern US. It extends from Springer Mountain to Mount Katahdin in Georgia and Maine respectively. The Appalachian Trail measures about 2,200 miles in length, though its length has changed over time with the modification of some of the parts and routes. According to the Appalachian Trail Conservancy, the trail is the world’s longest hiking-only trail. More than 2 million people hike the trail at least once a year. The Appalachian Trail together with two other trails, Continental Divide and Pacific Crest Trails form the Triple Crown of Hiking. The idea of having the Appalachian Trail in place was conceived by Benton MacKaye shortly after his wife’s death in 1921. He thought of a trail that would connect several farms and wilderness camps for the city residents. MacKaye’s idea was published in the New York Evening Post the following year by Raymond H Torrey. The idea was also quickly taken up by the Palisades Interstate Park Trail Conference as their major project. The first section of the trail from Beer Mountain to Aden, New York through the Harriman State Park was opened in October 1923. In 1925, Appalachian Trail Conservancy was formed following Appalachian Trail conference held in the same year in Washington DC. Between 1929 and 1933, the Connecticut leg of the trail was mapped and blazed. In 1936, Avery, who was the chairman of the ATC, was the first person to walk through the Appalachian Trail end-to-end. The trail reached the Sugarloaf Mountain, Maine in 1937, with the ATC shifting its objective to preservation of the trail. The International Appalachian Trail, which runs from Maine through to New Brunswick and Gaspé Peninsula, is a 1,900-mile extension of the main Appalachian Trail, though it is considered a separate trail and not an extension of the trail. Some of the extensions of the Appalachian Trail are in Nova Scotia, the western shores of Newfoundland, and along Appalachian Mountain Range. Although the main trail ends in Georgia, the Appalachian Mountain Range continues to Alabama. In 2008, the Pinhoti National Recreation Trail was connected to the Appalachian Trail through the Benton MacKaye Trail. The Appalachian Approach Trail, which is approximately 8.8 miles long, begins at Amicalola Falls State Park. More than 99% of the trail course is currently protected by the government and maintained by various citizen organizations and advocacy groups. The course of the trail passes through the ridge lines of the Appalachian Mountain Range, crossing several of its peaks. The trail covers about 75 miles of Georgia, with the highest point being the Blood Mountain. 88 miles of the trail runs through North Carolina, ascending through Standing Indian Mountain through to the Fontana Dam. The trail passes through other states and cities including Virginia, Maryland, Pennsylvania, New Jersey, New York, Connecticut, Vermont, New Hampshire, and ends at Maine. The Appalachian Trail hosts thousands of flora and fauna species including rare, threatened, and sensitive species. Some of the fauna species include the American black bear, deer, elk, squirrel, chipmunk, porcupine, fox, and moose. The bears rarely confront people. Snakes are also common along the trail, especially in drier and rocky areas. Some of the persistent pests along the trail include ticks and mosquitoes. The plant species along the trail vary since the trail passes through different biomes and the climate changes. How Long Is Winter On Uranus?